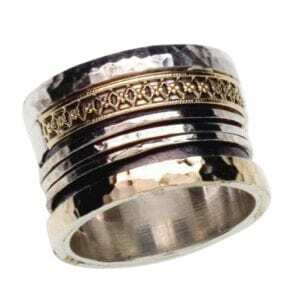 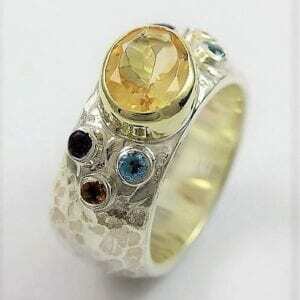 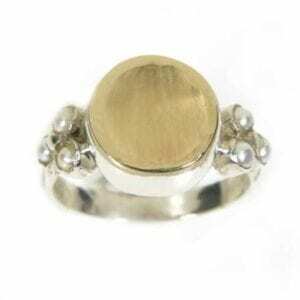 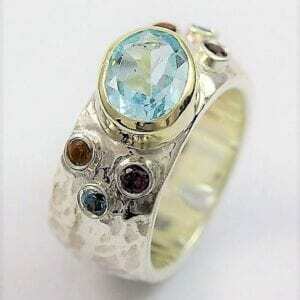 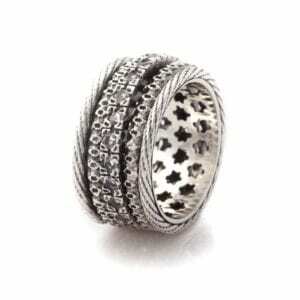 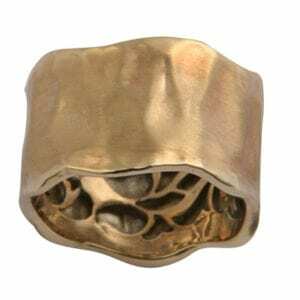 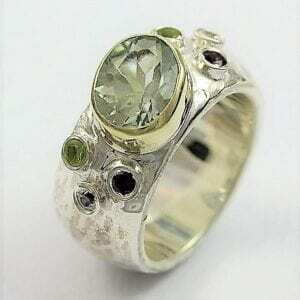 Handmade sterling silver ring with 9k solid gold setting. 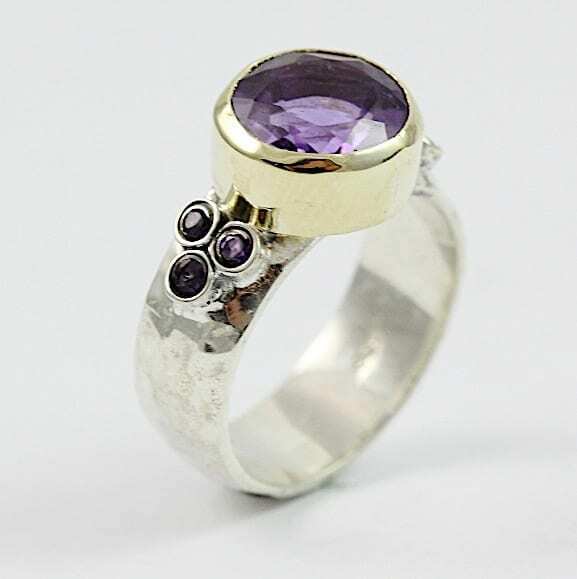 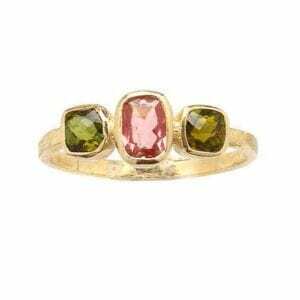 Our amethyst and crystal ring can be worn a lone or stacked. 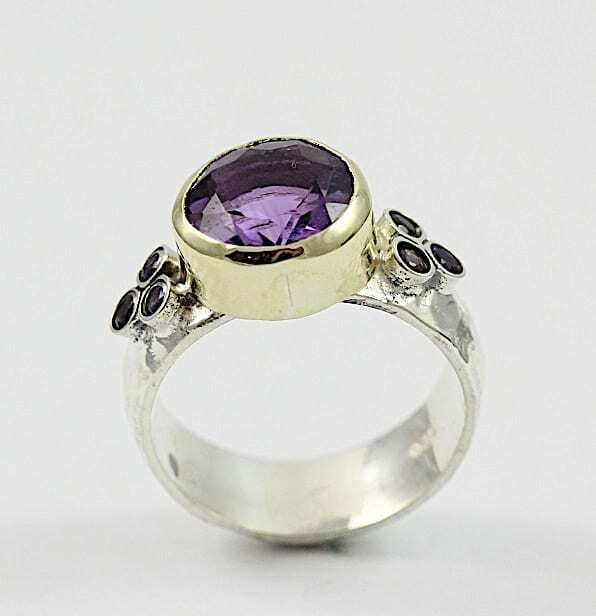 The amethyst stone measures approximately 10mm and the smaller amethyst approximately 2mm.